Fake drug discount cards, remote access to computers under the guise of technical support, relative in distress needing cash stories (the so-called “grandparents scheme”), insurance fees to collect nonexistent sweepstakes prizes, mass mailings and money mule fraud, and posing as debt collectors are some of the more prevalent schemes used by con artists. Education is critical as to how these fraud operations function. 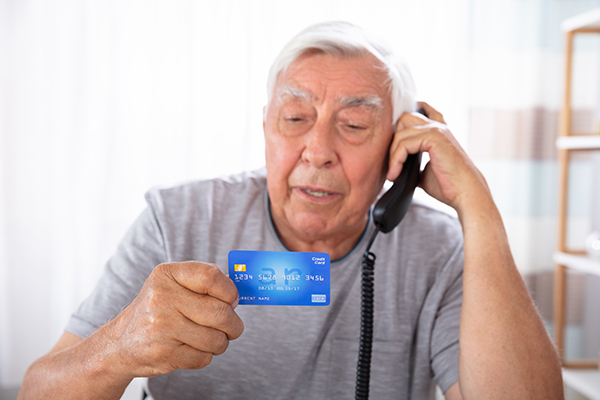 A scammer will try to evoke a strong emotional response in their targeted senior to persuade them to part with their money. For example, a senior experiencing a high arousal emotion like excitement or anger makes them more susceptible to opt in on a risky decision. A senior should not make what is called a “first flush” decision. Allow 24 hours to pass before opting in on an enticing scheme if you are becoming overly excited and feel pressure to make a quick decision shut down your contact with the person or organization and wait. One of the easiest ways to avoid scams is never giving out personal information to unknown entities. Ask for credentials, speak to supervisors, do a background check, get another trusted individual in your life involved in what you are considering BEFORE making any decisions. Have systems in place for a trusted family member or financial professional to approve of financial transactions when they are outside the scope of your normal daily purchases or bill payments. Review any auto deductions in your bank account monthly. Scammers often start with a small withdrawal to see if there is oversight in the account that targets fraud or identity theft. Consumers can file elder fraud complaints with the Federal Trade Commission at www.ftccomplaintassistant.gov or 877-FTC-HELP. The Department of Justice provides resources relating to elder fraud victimization through its Office of Victims of Crime. Get educated and understand how you can protect yourself. If you or a loved one are in need of legal assistance or advice please contact our office at 770-428-6380.